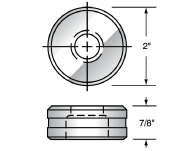 American Punch has the punch and die set you need for your Iroquois™ ironworker. 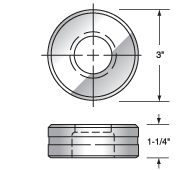 With a wide range of round, square and slotted tooling in stock and ready for same-day shipment, we can keep your metalworking equipment running on your schedule. Founded in the early 2000s, Iroquois is one of the newer ironworker manufacturers, but the South Dakota-based company has already increased its product line to include H and C frame presses, as well as a press brake. Many fabricators already rely on the versatility of their Iroquois ironworkers, just as they rely on our dedication to customer service, commitment to quality and extensive in-house expertise. 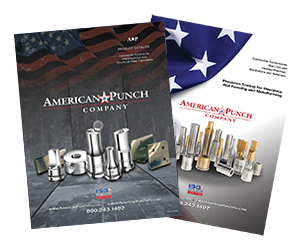 Leading metal shops know that American Punch understands their needs and can deliver the tooling they require – including customized punch and die sets designed and manufactured to their specific circumstances. If you don’t see what you want here, we can build it. Just give us a call to get the assistance you need. 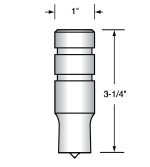 Select an option below to request a quote for your next Iroquois ironworker punch and die set. Or call 800.243.1492 to speak to a knowledgeable sales representative.